Damianista’s Note: JaniaJania and I were extremely lucky to see Damian Lewis in Edward Albee’s The Goat, or Who is Sylvia? and meet with him after the performance exactly two years ago. So, on the second anniversary of this fabulous experience, why not join JaniaJania today on a trip back? Enjoy! When he’s not running a show, co-creator of Billions, Brian Koppelman hosts a podcast called The Moment. Each hour-long session is a conversation about the creative process and pivotal moments in creative careers. Koppelman talks to people in various forms and stages of their creative lives about inflection points, the moments they sensed something shifted for them in their careers. Having listened to several of these conversations in his archive, its always a treat to hear how people get to live their professional dreams, be they restaurateurs, musicians, writers or actors. Back when he first publicized the podcast, I had this twee Twitter exchange with him. It is a truth universally acknowledged (at least on these pages) that, with Damian, there is more than what meets the eye. Likewise, there’s more to be said than what you hear, especially when interviews go deep like this one did. I wrote about another longer interview on the subject of creativity: SAG-AFTRA. This podcast covered similar ground, but touched on some things we’d never heard before. So, here’s a bit of reading between the lines of some highlights from The Moment. You should know by now from my ‘Chuck Seniorisms by the Dozen’ Part I and watching the show Billions that Charles Rhoades Sr., often referred to simply as Senior, is played by the extraordinary actor Jeffrey DeMunn. Senior oozes a noble, high-born conviction with not so subtle hints of a slime ball undercurrent magnified by his Bob Barker mischievous smirk. Senior is an Upper East Side grand master and epitome of the WASP elite who went to Yale and was a Whiffenpoof. He’s a member of the Yale Club of New York, stores his cigars at Nat Sherman Tobacco Lounge, although in season three he tells Wendy he’s cleaning out a walk-in closet of his prodigal son’s trivial prep school trophies to make room for a humidor, and hangs around with the likes of pals named Tate Tappan and Stuckey Brown, and rubs elbows with Kingmakers named Black Jack Foley. Well, tell me, what could be a better day than combining a shopping trip to Ikea in Charlotte with a quick visit to my Homeland Mecca? 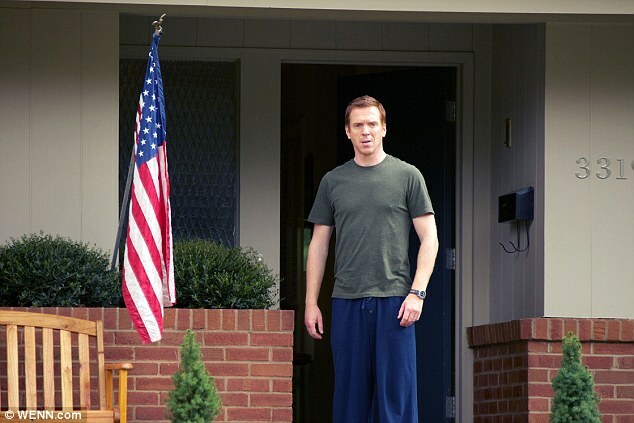 Even though Brody family resides at 3319 West Chapman Street in Alexandria, Virginia, Homeland was shot in North Carolina before they moved to South Africa for Season 4. They filmed the first three seasons mostly in Charlotte, a two-and-a-half hour drive from our house. And, I never even tried to visit the set thinking they would always be there and I could always visit one day… Oh, yes, I did not see it coming – shoot me! Throwback Thursday to Damian Lewis’ Fan Made Scarf! There are two facts that I absolutely LOVE about Damian Lewis. Fact I: He is gracious with his fans. He always makes time for a little chat or a sweet selfie! Author DamianistaPosted on February 21, 2019 February 20, 2019 Categories Musings, Personal and Family LifeTags Fashion, New York, New York City, New Yorker Festival, Pop Culture6 Comments on Throwback Thursday to Damian Lewis’ Fan Made Scarf!